Midnight is a delightful romantic screwball comedy starring Claudette Colbert and Don Ameche. Colbert plays Eve Peabody, a down-on-her-luck showgirl stuck in Paris on a miserable rainy night. Ameche plays Tibor Czerny, a Hungarian cab driver, working in The City of Light, who takes pity on her. Pity turns to attraction, for both Tibor and Eve, but Eve is set on the finer things in life. After Tibor has driven Eve to all the cabarets in Paris helping her find work as a blues singer, Eve slips out of Tibor’s cab while he’s getting gas. Dressed in a beautiful evening gown—the only garment she owns after losing all her money in Monte Carlo—Eve wanders into a society party to get out of the rain, using a pawn ticket as her invitation. Eve relaxes into a comfortable chair while she listens to the party’s entertainment: an overweight soprano and a very serious pianist. Stephanie (Hedda Hopper), the party host, is alerted to the fact that someone entered the party with a pawn ticket. While interrupting the pianist, she asks if anyone in the room is or knows a Eve Peabody. As Colbert sinks into her chair, she is rescued from discovery. 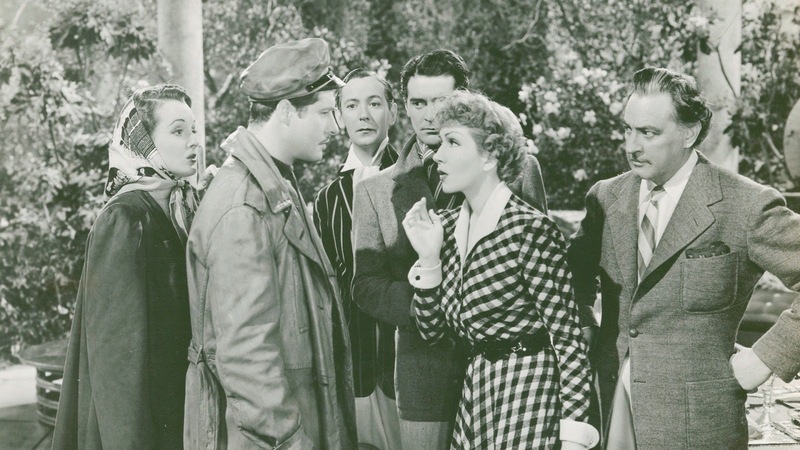 Before you know it, Eve is playing bridge with rich society swells Helen Flammarion (Mary Astor), Jacques Picot (Francis Lederer), and Marcel Renaud (Rex O’Malley). When Eve asks him why he picked her to be his partner, Marcel responds, “You looked charming, you looked bored, and you looked as though you wouldn’t trump your partner’s ace.” Eve introduces herself as Madame Czerny from Hungary and Jacques is smitten with her. His current lover, Helen, is enjoying the card game less and less. In the background is George Flammarion, Helen’s husband who knows his wife is having an affair with Picot, but is still in love with her. The further along Eve’s deception goes, the more complicated it gets, especially when Tibor shows up at the Flammarion’s estate unannounced during a high society party. Will Tibor give Eve away or will he help keep her secret? 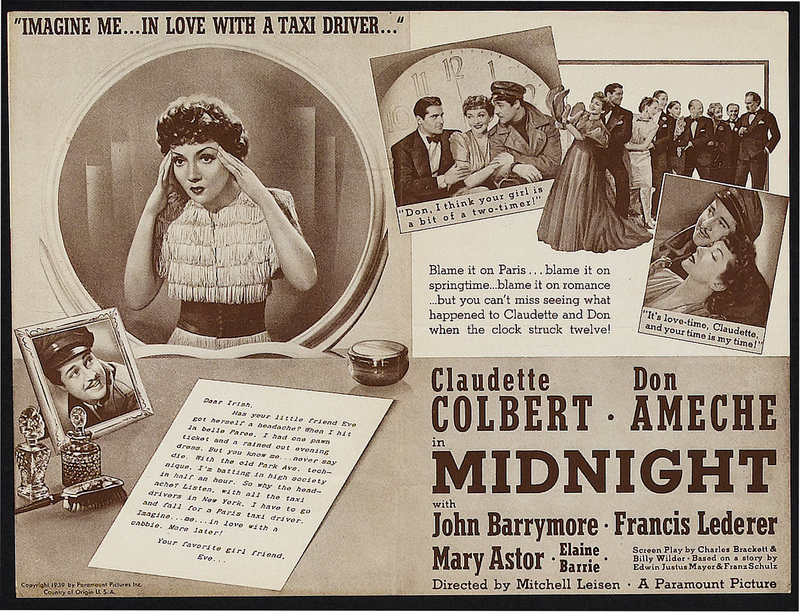 Midnight, a clever twist on the Cinderella tale, is a delightful romp with a brilliantly witty script by Billy Wilder and Charles Brackett. It’s directed with a classy polish by Mitchell Leisen, a director who isn’t as well known today as he should be.